HSBC India has posted a net profit of Rs 1988cr for the financial year 31-03-12, a jump of 30% over the previous year. The bank had a deposits of Rs 61,400cr plus and advances of Rs 35,500cr as on 31-03-12. The bank's CAR stood at 18.03 percent. According to sources Future group has finalized plans to exit from stationery joint venture with US based Staples by selling its entire stake to its partner for Rs 170cr. Future group recently sold Pantaloon to Aditya Birla group and exited from the financial arm Future Capital holdings. The New York based perfume maker has roped in JP Morgan Chase and Bank of America for its proposed $1 billion IPO. The company has some well known brands like Calvin Klein, Cerruti, Marc Jacobs and Avon under its belt. BJP Government in Karnataka reached a flash point with nine Ministers loyal to party state strongman B S Yeddyurappa submitting their resignations to Chief Minister D V Sadananda Gowda. They want change in leadership. The ministers who have submitted their resignation are C M Udasi,Shobha Karndalaje, Jagadish Shettar, V Sommanna, Basavaraj Bommai, Murugesh Nirani, Revu Naik Belamagi, M P Renukacharya and Umesh Katti. Cairn Energy of U K, which had last year sold majority stake in its Indian unit to mining group Vedanta, today sold 3.5 per cent stake for over Rs 2,000 crore in an open market deal. The shares of Cairn closed at Rs 307, down 6%. FIIs have pumped in excess of Rs 3,000 crore today in to the markets.The huge dollar supply vaulted the rupee to a intra-day high of 55.60 before concluding at 55.equity 61, a net rise of 119 paise, compared to yesterday's close of 56.80. The IPO which opened today in the price band of Rs 55-60 has received 0.50 times subscription. The entire subscription has come from QIBs. Market sentiments turned positive on the news of euro zone bail out and that the government is likely to take retail FDI and pension bill at the earliest. The benchmark Sensex and NIFTY saw one of the highest rise in recent times. NIFTY was up by 130 points and Sensex 439 points. FIIs net purchased in excess of Rs 3000cr in cash markets. Asian Paints, Jindal, Maruti,Rel infra, HINDALCO, Sterlite, BHEL and Tata Power were all up in excess of 4%. Cairn lost 6% with NSE turnover exceeding Rs 2000cr. All NIFTY stocks, except BPCL and Cairn are trading in green. ITC and Sunpharma have touched 52 week high of Rs 259 and Rs 644.80 respectively. TCS and HUL are also trading near their 52 week high. The volumes too have picked up in almost all counters. NIFTY is up almost 100 points. In an interview to CNBC TV 18 Sudarshan Sukhani of s2analytics.com says that NIFTY would touch 5400 level in July 2012. Government is likely to announce reforms initiatives once the presidential elections are over. The NIFTY was up 70 odd points in the early trade, today. Public sector bank employee unions have called for a two-day nation-wide strike on July 25-26 to protest reforms in the banking sector and outsourcing of jobs. The government to address the investors concern over taxation issues, may relax some provisions of GAAR. Also government look into mis use of double taxation avoidance treaties. Lukas Rosol, ranked 100th in the world won against twice former champion Rafa Nadal. The 26 year old Czech defeated the 11 times grand slam champion in electrifying an 6-7 6-4 6-4 2-6-6-4 game. The game lasted over 3 hours. NIFTY gained 7 points amid heavy selling by foreign institutions. FIIs have net sold in excess of Rs 1100cr in cash markets, today. JP Associates, ITC, ACC and Tata Steel are the main gainers among NIFTY stocks. Axis Bank, Sterlite, Sesa Goa,IDFC and GAIL each lost 2%. Markets are expecting policy reforms initiatives from PM who also holds the additional charge of finance. The IPO in the price band of Rs 55-60 opens today. Firstchoice IPO has analyzed the IPOs that hit the market in the last two years in this segment. None of the 15 IPOs that made debut in the last two years are trading above the IPO price. We had recommended only 4 IPOs for subscription. The performance of the IPOs are indicated below. We recommend staying way from VKS Projects IPO. In an interview to a leading business channel, Sanju Verma MD of of Violet Arch Capital Advisors says that Sensex will touch 22000 by March 2012 and Sensex seen hitting 19500 by Sept 2012. She says down turn to market from this level is limited. The beverages giant Coca-Cola would more than double investments in the country to Rs 28000cr plus by 2020. DERC has raised the electricity tariff by 24.15%. With this hike, consumers will feel the heat in the coming winter too. The Dow Jones industrial average rose by 32.01 points to close at 12,534.67, on 26-06-12. Yesterday's Dow Jones points raise and closing both have fancy numbers. There is 0 1 2 3 in points rose and 1 2 3 4 5 6 7 in the closing figure. Amid uncertainty in global economies FIIs are still have doubts on India growth story. That is what hindering them to take a definitive view on India. Markets opened with marginal loss and closed with similar gains. GAIL. Grasim, Tata Power and Powergrid are the major gainers among NIFTY stocks. Heromotoco continued its winning streak and closed at Rs 2057, up Rs 26. The stock is one of the major gainer in the last 30 days, having gained 12.47%. FIIs bought marginally where as DIIs are net sellers in excess of Rs 350cr in cash markets. Microsoft will buy Yammer, a social network site for businesses, for $1.2 billion in cash, as it seeks to strengthen its enterprise software business and compete more directly with Salesforce.com. Under the terms of the deal, Yammer will be added to Microsoft’s office division. Yammer, which is known as “the enterprise social network,” is a sort of Facebook for businesses. VKS Projects has set the price band at Rs 55-60. Although the company’s revenue has been showing decent growth in the recent years, the negative cash flow in the in the last 5 years is an indication the company’s weak bargaining strength and severity of competition. The company has also not complied with AS 15 of ICAI, with regards to employees benefits. Further, the IPO grade and the past track record of the BRLM go against recommendations. RBI hiked the limit of external commercial borrowing (ECB) to USD 10 billion. The regulator also increased the limit of overseas investment in government securities to 20 billion dollars. However the markets are disappointed with the measures and turned red.The Sensex which was up more than 100 points, was down around 100 points, by close. In the past Comfort Securities had lead managed Tarapur Tranformers and Ravikumar Distilleries. 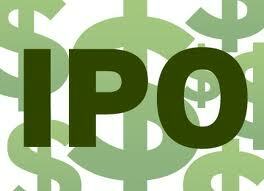 As against the IPO price of Rs Rs 75 and Rs 64, the stocks are trading around Rs 13 and Rs 10 respectively. The benchmark Sensex is up 100 points in the early trade. Markets are expecting some corrective actions from RBI to check rupee slide. Sterlite, Coal India Axis bank, JP Associates and Maruti are the top gainers. Almost all the NIFTY stocks are trading in green. Rupee too gained 50 paise and is trading around Rs 56.70 against the dollar. Samsung Electronics may post better than expected earnings in the 2nd quarter thanks to contribution from hand set division, defying market concerns that earnings could come under pressure due to tight supply of the latest flagship smartphone model and weak global economy. Samsung is expecting its latest smartphone Galaxy S III to top 10 million units during July. The San Francisco head quartered Wells Fargo, multinational diversified financial services company with operations around the world is planning to move jobs to India. Wells Fargo is the fourth largest bank in the U.S. by assets and the largest bank by market capitalization. Wells Fargo is the second largest bank in deposits, home mortgage servicing, and debit cards. In 2011, Wells Fargo was the 23rd largest company in the United States. As part of efforts to increase the efficiency, the company thoughtfully pursuing a strategy for growth and where the company wants to be in the long-term. Businesses and functional areas are investigating what markets are most economically attractive, with access to the best talent, and India has been chosen as one such destination. In 2011, Wells Fargo had more than 9,000 retail branches and 12,231 automated teller machines in 39 states and the District of Columbia. It has over 270,000 employees and over 70 million customers. KFA is making all-out efforts to cut cost and stay afloat. The Arline which has 20 aircraft s presently operating only 14 aircrafts and 120 daily flights. The market share of KFA, apart from AI, is lowest. Volvo has started the trial run of its multi-axle low floor city bus (Volvo 7400XL) in Bangalore. State owned BMTC bus held the run. The Volvo 7400XL, showcased at the Auto Expo 2012 in Delhi earlier this year, is India’s first multi-axle city bus with a steered axle. It is also the country’s first city bus ready to support efficient mass bus-based transport systems and can carry over 100 passengers at a time. Suzlon the fifth- largest wind power maker by installed capacity sold its Chinese manufacturing subsidiary for Rs 340cr to China Power New Energy Development Company. Suzlon entered China In 2005 with marketing operations and set up a Manufacturing subsidiary in 2006 with 900MW capacity. Suzlon has Rs 10,000cr debt on its books. A little relief is expected from the transaction. RIL, as of 22-06-12 has purchased 3,00,65494 equity shares at a total consideration of Rs2144.73cr, as per data filed with exchanges. Citigroup Global Markets and DSP Merill Lynch are the managers to the buy-back scheme. IPO ANALYSIS: VKS PROJECTS : SYMPTOM OF A VANISHING COMPANY – STAY AWAY. The IPO is being lead managed by Aryaman Financial Services who had earlier managed Mid Valley Entertainments and Swajas Air Charters. Mid Valley, as against the IPO price of Rs 70 is trading around Rs 7 and Swajas IPO was withdrawn due to poor response from QIBs. VKS carries IPO grade 1 assigned by CRISIL. VKS Projects is a Mumbai based EPC company. The company intends to raise Rs 55cr from the IPO. The funds are intended to be utilized for procurement of construction equipments, setting of offices in different cities and to meet the long term working capital needs. However the company is yet to place order for procuring the equipments, office place in different cities not identified. The fund raising programme has not been appraised by any bank or financial institutions. The company had a revenue of Rs 30cr, Rs 60cr and Rs 98cr for the financial year ending 2100, 2011 and 2012 (up to Dec, 9 months) respectively. The net profit earned was Rs 2cr, Rs 3cr and Rs 5.63cr. However the company had negative cash flow in the last 5 years. Further, the IPO grade and the past track record of the BRLM go against recommendations. AVOID THE IPO. NOTE: As per the SEBI’s new guidelines short selling is prohibited in initial days. In connivance with promoters and BRLM, some brokers may do speculative trading. High risk investors can take a chance on listing day. RUPEE BREACHES 57 MARK vs $. Sustained capital outflows and strong demand from oil importers has made dollar still stronger. For the first time rupee breached 57 mark. Dollar also gained against euro and other currencies in the overseas forex markets amid global economic growth concerns, Moody's downgrade of world's 15 biggest banks and mounting worries over euro-zone debt troubles including the size of a bailout needed to save Spain's banking sector. After being isolated and humiliated in the race for the presidential post one more set back for Mamata and TMC. The high court of WB has on Friday struck down the Singur Land Rehabilitation and Development Act, 2011, as unconstitutional and void. The court favored the Tata Motors' appeal against a trial court order which upheld the act, and gave the West Bengal government two months to appeal before the Supreme Court. According to the division bench, sections of compensation in the Singur act were in conflict with the Land Acquisition Act, 1894. It also said the legislation had been enacted without obtaining the assent of the president. The sensex is down 150 points, as markets across the globe turned jittery after down grading of 15 top banks by Moody's. Except some auto stocks like Maruti, Hero, Bajaj and M&M, most NIFTY stocks are trading in red. NIFTY has lost 50 points. RIL is yet to recover from yesterday's shock. Cement stocks are the hardest hit due to penalty imposed on leading players by CCI for cartelisation. The Dharmadhikari committee on pay fixation and promotion issues in Air India says minimal pay increments should be given till the airline makes an operating profit. The report has made various other recommendations on reining in pay and the resulting anomalies. Rationalizing the allowances, an end to five-star accommodation to pilots, lower allowance to pilots at foreign airports at actual expenditure, instead of the fixed $1,600-2,050 are some of the recommendations. Benefits like free tickets to relatives of employees should also be withdrawn. MOODY'S CUT 15 BIG BANKS RATINGS, INCLUDING CITI, BOA. Moody’s Investors Service has cut the banks’ credit scores to new lows, that could further damage their bottom lines and unsettle markets even more. Moody’s approach reflects its belief that large banks have fundamental weaknesses that could still hurt their financial stability. Along with Citigroup and Bank of America, the credit rating agency took action on 13 other banks, Morgan Stanley, JPMorgan Chase, Goldman Sachs, Credit Suisse, Deutsche Bank, UBS, HSBC, Barclays, BNP Paribas, Credit Agricole, Societe Generale, Royal Bank of Canada, and Royal Bank of Scotland. For most part of the trading hours NIFTY was down. However the trend reversed in the last hour. NIFTY led by infra and bank stocks was up by 44 points to close at 5165. JP Associate, Rel infra, DLF, BHEL, SBI and PNB were the star performers among NIFTY stocks. RIL which was hit by NIKO report was down almost 4% at one time and recovered a bit to close at Rs 719, still down 2.56%. SBI was up by Rs 62 and closed at Rs 2179. In the last one month the stock is up by 9%. Sun Pharma, ITC and HUL closed at 52 week high. These 3 stocks have risen 26,36 and 44 percent respectively in the last one year. The combined turn over of SBI and RIL in NSE exceeded Rs 1000cr. FIIs net sold Rs 257Cr in cash market. RIL is down 3% after Canada's Niko Resources sharply cut the reserves estimate at the KG D6 gas blocks, off India's east coast. Niko Resources, has said that total proved plus probable natural gas reserves have fallen almost 51% to 377 billion cubic feet equivalent. NSE IS LEADING CURRENCY BOURSE IN THE WORLD. The National Stock Exchange (NSE) has emerged as the leading currency bourse in terms of number of contracts traded and second largest for futures and options of equity index trading. The Bombay Stock Exchange (BSE) is now the fifth largest exchange for index options trading globally. According to recent data of the World Federation of Exchanges , in terms of number of contracts traded every month, NSE is ahead of US based Chicago Mercantile Exchange group in currency trading. In equity index derivative, NSE is ahead of Nasdaq and NYSE Euronext of US and Eurex of Europe. The Korea Exchange (KRX) of South Korea is the world's largest exchange for derivative trading in equity indices. Labels: NSE IS LEADING CURRENCY BOURSE IN THE WORLD. GOVERNMENT PLANS STAKE SALE IN 15 PSUs. The government is considering stake sale in as many as 15 state-owned companies to garner an estimated Rs 20,000 crore. The companies include BHEL, SAIL and Oil India, EIL, RCF, Andrew Yule, NALCO, NHPC, NMDC, MOIL, Hindustan Copper, RINL and HAL. The government in the budget for 2012-13 proposed to raise Rs 30,000 crore in the current fiscal from sale of its equity in PSUs. Labels: GOVERNMENT PLANS STAKE SALE IN 15 PSUs. RBI has issued the final guidelines on “White Label ATMs,” to be owned and operated by non-banking entities. At present only banks can set up ATMs. NBFCs desiring of owning ATMs would need to seek authorization from the Reserve Bank. For setting up ATMs, entities should have a minimum net worth of Rs 100 crore as per the latest financial year’s audited balance sheet. Tata –Dassault electric car is expected to be priced around $20,000 (Rs 10 lakh plus). Tata Technologies has completed the first feasibility study of the electric vehicle using Dassault Systemes’ 3DEXPERIENCE Platform. NIFTY up 17 points led by ACC, Sterlite, HCL and Tata Motors. TCS was the major loser among NIFTY stocks and closed at Rs 1752, down Rs 22. Markets are looking for positive news from U S and Euro zone. Turn over in NIFTY stocks was moderate.SBI again topped with Rs 530cr turn over. The stock was up Rs 24 and closed at Rs 2125. HUL achieved a milestone when its market cap crossed Rs 1lac crore today. The stock closed at Rs 456, up 2%. In the last 365 days HUL is up 42%, where as the benchmark NIFTY is down 3% in the same period. With this , the market capitalization of the FMCG company now stands at Rs 101,198 crore, ahead of Wipro, ICICI Bank and HDFC. HUL currently stands at the eleventh position after Bharti Airtel. Koutons Retail stock was suspended from trading on account of non-compliance with the provisions of the Listing Agreement. With the Company satisfactorily meeting with the listing agreement requirements, the NSE has revoked the suspension of trading in the securities of Koutons Retail w.e.f. June 21, 2012. India, Russia and Brazil have offered $ 10 billion each whereas South Africa made a commitment of $ 2 billions. Asia’s big brother China has offered $43 billions making it to $75 billions from BRICS nations. The five BRICS nations represent 43 percent of the world's population and about 18 percent of global economic output. They have about $4 trillion in combined reserves, with the lion's share held by export powerhouse China. 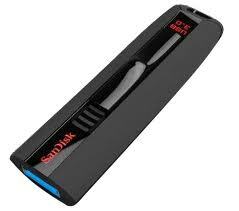 Sandisk the portable data company has launched new USB 3.0 capable Pen Drive in the market and dubbed it as Sandisk ‘Extreme’ USB Pen Drive. This new offering from Sandisk promises up to 190MB/s data transfer speed and comes in sizes starting from 16GB and going up to 64GB. The price ranges from $65 and goes as high as $160. Facebook, the largest social net working site has acquired an Israeli company, called face.com, that makes facial recognition technology. Facebook has used the Israeli company for two years to identify and “tag” who is who on the social network. Face.com’s last product was an application that allows users to click a picture of their Facebook 'friends' and tag it automatically before posting it on Facebook; for now, it works only on the iPhone. That alone is alluring for Facebook: Its users upload 300 million pictures a day at last count, but identifying pictures of Facebook friends on mobile devices, which is the next frontier for Facebook, is not as easy as it is on computers. The US Pharmacy chain giant Walgreens acquired 45% stake in Alliance Boots. Alliance Boots is owned by private equity firm Kohlberg Kravis Roberts and others, would get $6.7bn in cash and shares. The two groups will look to a full merger in three years for a further $9.5bn, plus the assumption of Alliance Boots’ then outstanding debt. Pranab Mukherji got surprise support from BSY, the strong man of Karnataka BJP. BSY's stand not only embarrassed the the top brass and made them to think hundred times before announcing their presidential candidate. It is not very often that market sees a rally led by RIL now a days. Today was different. The stock which has highest weight-age in Sensex and NIFTY was up 2.52% to close at Rs 737. The other stocks which helped the Sensex to close at higher level were ITC, Ambuja, Grasim, GAIL, Siemens and Ranbaxy. NIFTY closed above 5100 level, up 40 points. Some rate sensitive counters which had taken a sever beating yesterday staged a smart rally. SBI topped the turn over on NSE with Rs 777cr. RIL's market cap improved to Rs 2.41 lac crore, slightly behind TCS's market cap of Rs 2.49 lac crore. TCS closed at Rs 1274. Microsoft unveiled a tablet computer called Surface that is intended to challenge Apple’s iPad. Microsoft's new tablet, Surface, will run a variation of Windows 8, a forthcoming version of the company's flagship operating system. The tablet, is about the same weight and thickness as an iPad, with a 10.6-inch screen. The device has a built-in ‘kickstand’ that allows it to be propped up for watching movies, and a thin detachable cover that will serve double duty as a keyboard. COAL BLOCKS ALLOTTED TO COAL INDIA. The government has allocated 116 mines to Coal India for expansion and help to boost production capacity. This is against 138 mines requested by CIL. Labels: COAL BLOCKS ALLOTTED TO COAL INDIA. RCOM shares hit a record intra day low of Rs 59.45, after a critical report from Canadian research firm Veritas, was made public. The stock recovered and closed at Rs 64. The Veritas report says significant additional downside in the company's stock and said it did not think the company's accounting policies provide a clear picture of the underlying operating and business trends. ICICI Bank, the largest private sector bank, has increased the remuneration of its Managing Director Chanda Kochhar by 33.2%. Kochhar received Rs 4.25 crore in 2011-12 compared to Rs 3.19 crore she earned in the previous year. HDFC Bank's Managing Director Aditya Puri got 25% hike. He earned Rs 4.90 crore last financial year that included basic pay, performance bonus, allowances and perquisites, contributions to provident fund and superannuation fund. His remuneration was Rs 3.92 crore in the previous year. Shikha Sharma, MD of Axis Bank, received Rs 2.53 crore in 2011-12, or 14% more pay than the previous year. V G Siddhartha of Coffee Day Group who was one of the first venture capitalists to back MindTree, more than a decade ago, is once again increased his stake further in this mid-tier software exports company. He has acquired 3.84 per cent stake in MindTree for around Rs 95 crore from another early venture fund — Walden International. With this, Siddhartha — along with two of his companies Coffee Day Resorts and Global Technology Ventures — holds little more than 21.5 per cent. The promoter group too holds 21.5 per cent in MindTree. Global economic troubles affecting Indian firms, IT bellwether Infosys has extended the joining time of new recruits to June 2013 but emphasized there is no freeze on campus placement drives. Labels: INFOSYS SLOW DOWNS HIRING. Fitch Ratings has down graded India's outlook to negative from stable. Fitch says the revision in its outlook is reflective of heightened risks that India's medium- to long-term growth potential will gradually deteriorate if reforms are not hastened. The much expected CRR cut or rate cut did not happen. RBI has surprised the market by maintaining status quo. The speculative positions on rate sensitive counters came in for unwinding. The NIFTY which was up 50 points before the policy announcements, lost more than 100 points and now is hovering around 5085, down 50 odd points. New Democracy was set to take 29.7 per cent of the vote and 129 seats in the 300-member parliament, compared with 26.9 per cent and 71 seats for Syriza, with 97% votes counted. New Democracy and its likely coalition partners are determined to secure some easing of the austerity measures demanded in return for the €174bn agreed in March. The projected result made it likely that New Democracy would try to form a government with the socialist Pasok party and Democratic Left, a more left-wing party. ALCATEL MAY GET RCOM DEAL. SPECIALITY RESTAURANTS SHIFTED TO B GROUP.